What is an Agency Relationship? “Agency” is a term that defines a legal relationship between two parties: the principal and the agent. An agency relationship is established once the agent has the legal authority to act as the legal representative on behalf of the principal, which may be an entity or a person. The agent will only have legal authority to act on behalf of the principal so long both parties are in agreement to create the agency relationship and the principal must have the necessary legal capacity (must be of legal age and of sound mind, etc.) to enter into a contract. How Do Agency Relationships Affect Workplace Settings? Agency relationships in workplace settings may or may not exist. This analysis on agency relationships depends on whether the individual is classified as an employee or as an independent contractor. Depending on how an individual is classified, an employer may or may not be liable for the acts of its employees or independent contractors. Independent contractors are workers engaged in a particular business, profession or trade who enter contracts with the general public to perform tasks and offer their services. An individual is considered an independent contractor if the independent contractor has control over the task or service to be performed, and how it will be performed, but the person or entity paying for the task or services has the right to control or direct the result of the task or services. Independent contractors are therefore not considered to be agents, unlike employees, as discussed below. 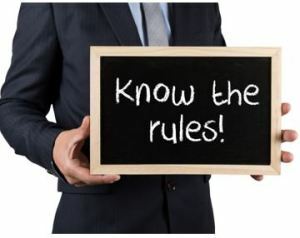 To determine whether an individual can be considered an independent contractor, the IRS provides several factors that must be considered, including, but not limited to: whether the occupation is generally done by a specialist without supervision or under the director of an employer, the skills required by the work, the method of payment, and whether the worker supplies his or her own supplies and tools and the place of work. Generally, a company will not be responsible for an independent contractor’s conduct unless the work is considered an “inherently dangerous activity.” The reasoning behind this is due to the concept that employers should not contract away the responsibility for dangerous activities. This concept is intended to prevent an employer from escaping in inherently dangerous situations by simply contracting out the work. Employers can be held liable for the actions of their employees if their employees acted within the scope of their employment. The employer is a principal who employs a person to perform services and the employer controls, or has the right to control, the conduct of the employee in the performance of the employer’s services. The employee is considered an agent, employed by the company to perform services. As a result of the employment, the employee’s conduct in the performance of the service is controlled, or is subject to the right of control by the employer. Therefore, employment is generally a principal-agent relationship. So, when an employee is acting under the scope of his or her employment duties, the employer will be legally responsible for the acts of the employee under the doctrine of Respondeat Superior. The legal doctrine of Respondeat Superior translates in Latin to “let the master answer.” This doctrine will place vicarious liability on a third party that had the right, duty or ability to control an individual who caused a personal injury. This doctrine, one of the oldest traditions in the legal practice, is integral to hold employers liable for the omissions and acts of their employees. Without this doctrine, corporations would little to no reason to enforce proper standards of care among their employees, and injured people would have no way to seek justice and to collect monetary damages for their pain and suffering. If you are an employer and are concerned about your liability with respect to your employees or independent contractors, it is important to understand all the facts and legal questions involved in your case. Your experienced San Jose business attorneys can assist you with all your questions and concerns. Please contact our experienced business lawyers at Structure Law Group, LLP at (408) 441-7500 or email us today.